Call mode is the type of network you use to handle inbound and outbound calls from your L'application mobile Virtual Office. You can use mobile data network or cellular network. 8x8 Virtual Office allows you to switch between the two networks based on your needs. For example, if you are roaming in areas with weak Wi-Fi signals or poor 3G/4G reception, you may experience poor call quality or dropped calls. By switching to cellular data network, you can gain better call quality and reliable call connection. For call mode settings, from the main menu, select Settings > Call Mode. How do I limit my network data usage while on the L'application mobile Virtual Office? If you wish to reduce the impact of the L'application mobile Virtual Office on your data plan, you can change your device or app settings in order to better control your network data usage. Within the L'application mobile Virtual Office, you can reduce your network data usage via Call Mode. From the main menu, go to Call Mode. Under Data Network, Use 3G/4G/LTE. Tap Outbound or Inbound to select the desired call mode. For inbound calling, select Use Data Network. The app automatically saves your selection. For details, refer to Set up Call Mode. Choose your Wi-Fi network. You may need to enter a security code to connect to the Wi-Fi network. If you have questions about your Wi-Fi network, contact your local IT support. Disable to reduce data usage. What happens when my phone switches from 3G/4G to Wi-Fi? If you start a call on 3G/4G/LTE and your phone switches to Wi-Fi during the conversation, the call stays on the original data network until you hang up and make another call. How do I transfer a call in the L'application mobile Virtual Office from data network to my cellular voice without dropping the call? If you are on a call in the L'application mobile Virtual Office using data network and enter a spotty data coverage area, you can transfer the conversation to your cellular voice. Enter your cell phone number into your Favorite or Device contacts. Note: For a quick transfer, create a contact with your cell phone number prior to the call. Tap Transfer when a call comes in. Search for your contact in the Contact de l'entreprise. Find your contact number and tap to transfer the call to your cell phone. Your call is now over cellular voice. Can I receive or place calls using the app while a cellular call is in progress ? The issue of placing/receiving a VoIP call while already on a cellular call is not something we can resolve. The device OS prohibits other applications from using the audio subsystem while a cellular call is in place, even if the cellular call is on hold. This means our application has no resource to record/play audio, and hence no VoIP call can take place. You can easily reproduce this with any other application. Pandora, Skype, YouTube, etc. all automatically yield the audio over to the native phone app when a call comes in. Once the call ends, the OS yields the audio subsystem back over to the app that was using it before the call was made/received. If a cellular call is proceeding, the VOM app will prevent a user from being able to place an outbound VoIP call. However, CCR calls can be placed. If a cellular call is proceeding, the VOM app will decline any incoming VoIP call. Incoming CCR calls will be treated like any other incoming cellular call. If a VoIP call is proceeding and a cellular call is received and accepted, the VoIP call is automatically placed on hold. If Emergency calls via cellular is enabled, the emergency call is routed via cellular network. If Emergency calls via cellular is disabled, the emergency call is routed via 8x8 VoIP service. How do I log in to the L'application mobile Virtual Office using my company credentials? In addition to using your standard 8x8 username and password, you can use either your company's identity provider or your company Gmail credentials to sign in to SSO from the application login screen. How do I exit the L'application mobile Virtual Office without having to log in again? What is the app behavior? Exiting the L'application mobile Virtual Office quits the app, and you will not receive any incoming calls, messages, voicemails, or fax notifications to the app. When you initiate the app again, it launches automatically without requiring you to log in again. I would like to manually set my presence status. How do I set a custom status? User status in Virtual Office is either automatically set based on the user's actions, but a user can also choose to set a custom presence status and status message. You can set a custom presence status from the main menu of the L'application mobile Virtual Office, and enter an accompanying custom status message to give other users details about your status. This helps other users when deciding who to speak with. Let's say that Lisa is busy with an urgent project. 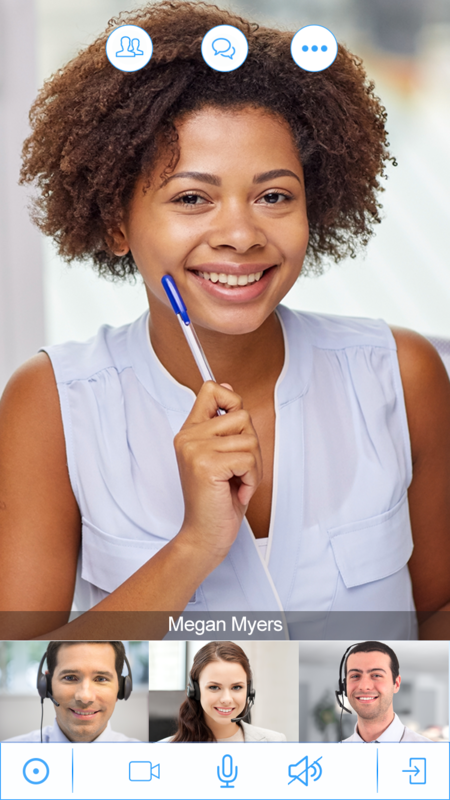 She can manually set her status to Busy and set her custom status message to say <On a deadline>, so that other users know to speak with someone else for the time being. I am not seeing notifications for interactions in the L'application mobile Virtual Office. How do I enable them? When you first install the L'application mobile Virtual Office, you receive a prompt asking whether to allow the application to send you device-based notifications. If you refuse the prompt, notifications are disabled by default. If you do not see notifications despite being logged in, go to your device settings to enable notifications. In your device Settings, scroll down to and tap Virtual Office in your list of applications. How do I avoid notifications for the L'application mobile Virtual Office? Logging out of the L'application mobile Virtual Office. This prevents all Virtual Office interactions and notifications, and other users see you as offline. Enabling Do Not Disturb on your device. This prevents all notifications on your device. Enabling Do Not Disturb in the L'application mobile Virtual Office. This prevents calls and call notifications; you still receive voicemail, chat, and meeting notifications. Note: Enabling Do Not Disturb on your device prevents notifications from all apps. Note: Enabling Do Not Disturb only prevents call notifications; you still receive voicemail, chat, and meeting notifications. How do I prevent my screen from locking when I am using the L'application mobile Virtual Office in the foreground? Log in to the L'application mobile Virtual Office. From the main menu, go to Settings > Advanced Settings. How do the call forwarding settings in the L'application de bureau Virtual Office affect the L'application mobile Virtual Office? However, you can direct them to Auto Attendant, your cell phone, or an external number. Refer to information on editing default rules or creating your custom rules. Default Rules: If you make any changes to the default rules of call forwarding in the L'application de bureau Virtual Office, such as dropping the calls during an Internet outage or forwarding calls to your cell number, the respective call forwarding setting in the L'application mobile Virtual Office changes to One Number Access (ONA). For example, changing the call forwarding rule during an outage from voicemail to mobile phone switches the parallel setting in the L'application mobile Virtual Office to ONA. My Rules: Custom rules added in My Rules are inherited by the L'application mobile Virtual Office. Please note the L'application mobile Virtual Office does not show these rules in the app. Always: Setting call forwarding in the L'application mobile Virtual Office is always inherited by the L'application de bureau Virtual Office and vice versa. Note: To see the changes you have made in the L'application mobile Virtual Office, you need to log out from the L'application de bureau Virtual Office and log back in. Call forwarding default rules in the L'application de bureau Virtual Office are synchronized with the L'application mobile Virtual Office rules as soon as you log out and back in. Log out and log back in to the L'application de bureau Virtual Office. The rules are now synchronized with the L'application mobile Virtual Office. What is the quickest way to call a person from my iOS or Android L'application mobile Virtual Office? How do I handle simultaneous cellular and Virtual Office calls? If you are on a call via the L'application mobile Virtual Office and receive an incoming cellular call, or vice versa, you will observe different call behavior depending on whether you are using iOS 10, iOS 9 or earlier, or Android. In these situations, the call behavior is as follows. iOS 10 Your device rings, and you see the incoming cellular call on your screen. iOS 9 and earlier, and Android Your device rings, and you see the incoming cellular call on your screen while the Virtual Office call is automatically placed on hold. iOS 10 Until you answer the cellular call, your Virtual Office call remains active. The incoming call prompt allows you to hang up or place the Virtual Office call on hold before answering the cellular call. Notify the Virtual Office speaker of the incoming call before you make your selection. End & Accept: The Virtual Office call ends. You can speak with the cellular caller from the iOS call screen. Hold & Accept: The Virtual Office call is placed on hold. You can speak with the cellular caller, end the call and resume the Virtual Office call, or switch between the calls at any time from the iOS call screen. iOS 9 and earlier The party calling via Virtual Office hears hold music while you take the cellular call. After the cellular call ends, your call on the L'application mobile Virtual Office automatically resumes. Android The party calling via Virtual Office hears hold music while you take the cellular call. After the cellular call ends, you should retrieve the held call manually. iOS 10 The cellular caller is forwarded to your voicemail without interrupting your Virtual Office call. iOS 9 and earlier The cellular caller is forwarded to your voicemail. Your Virtual Office call automatically resumes. Android The cellular caller is forwarded to your voicemail. You should retrieve the held Virtual Office call manually. iOS 10 Your device rings, and you see the incoming Virtual Office call via the native iOS incoming call screen. iOS 9 and earlier, and Android Your device may ring based on your application and device settings, and you see the incoming Virtual Office call on your screen. The size of the incoming call notification can vary based on your device settings. iOS 10 Until you answer the Virtual Office call, your cellular call remains active. The incoming call prompt allows you to hang up or place the cellular call on hold before answering the Virtual Office call. Notify the cellular speaker of the incoming call before you make your selection. End & Accept: The cellular call ends. You can speak with the Virtual Office caller from the L'application mobile Virtual Office. Hold & Accept: The cellular call is placed on hold. You can speak with the Virtual Office caller, end the call and resume the cellular call, or switch between the calls at any time from the iOS call screen. iOS 9 and earlier, and Android You must first end the cellular call. Otherwise, decline or ignore the Virtual Office call and continue your cellular call. On iOS and Android, the Virtual Office caller is forwarded to your voicemail without interrupting your cellular call. There are two ways to enter IVR menu choices ahead of time: either by saving a contact for repeated use, or by adding your choices while entering a number in the L'application mobile Virtual Office dialer. How do I add IVR menu choices to a contact? Tap the key to insert a pause for the IVR menu. How do I add IVR menu choices while dialing? While dialing out using the L'application mobile Virtual Office dialer, you can enter your IVR menu choices by holding down the * , key. 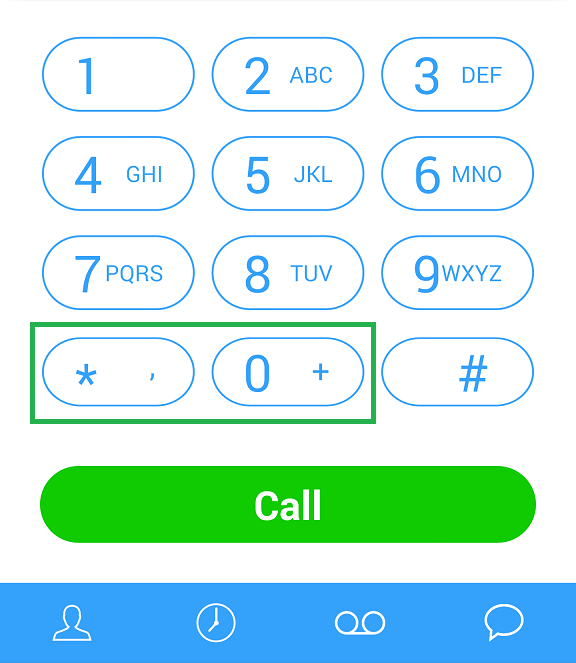 Similarly, you can add pluses for international calls by holding down the 0 + key. Tapping the key enters the first character (* or 0), while holding down the key enters the second character (, or +). How do I change my L'application mobile Virtual Office language? The L'application mobile Virtual Office now supports French (French and Canadian), German, Dutch, and Spanish. To access the app in a different language, you must change the language settings in your device. When you open the L'application mobile Virtual Office, it opens in the selected language. How do I change my L'application mobile Virtual Office date or time format? Depending on your device settings, your L'application mobile Virtual Office will display the date and time in different formats. The device date and time change. When you open the L'application mobile Virtual Office, it opens using the corresponding date and time formats. How do I access personal contacts? To access personal contacts in your Contact de l'entreprise, go to Contacts > Company tab. 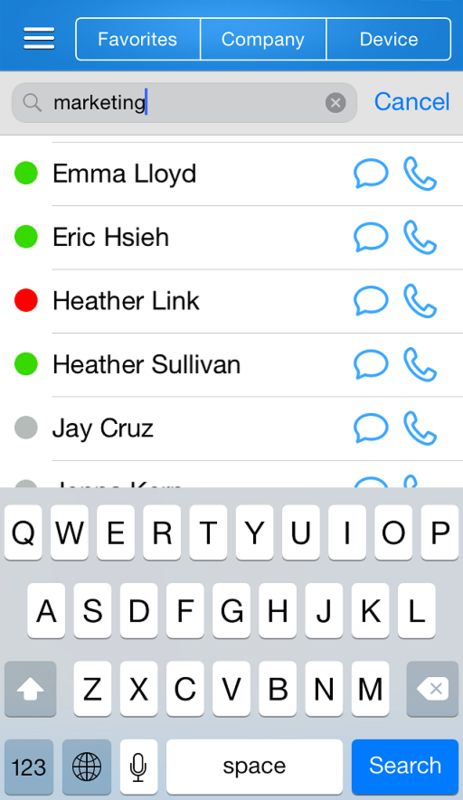 You can see the personal contacts listed in alphabetic order. 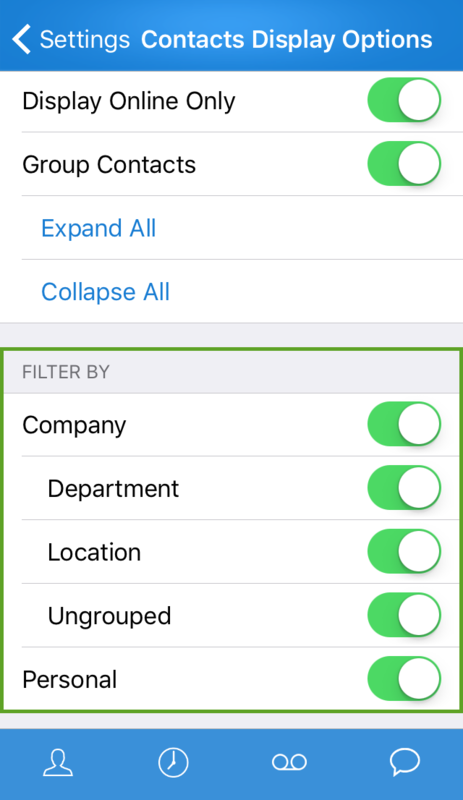 If you have modified the contacts display option to group your contacts, the personal contact are grouped under Personal. To access the contact display settings, tap to open the main menu, go to Settings > Contacts Display Options, and enable Personal. To access personal contacts from your device using the app, go to Contacts > Device. For details, refer to Display Contacts. Where do the contacts go when I add a new contact? You can add new contacts to the Contact de l'entreprise. They get grouped under Personal contacts in the Contact de l'entreprise. You may also add new contacts to the device from the 8x8 app. For details on adding a new contact under Company, click here. For details on adding a new contact under Device, click here. Can I search for company contacts by title, department, or location? Your Contact de l'entreprise lists your company contacts with added information tags such as job title, department, and office location. You can search for contacts using these tags instead of their names if you are looking for contacts within the same category. 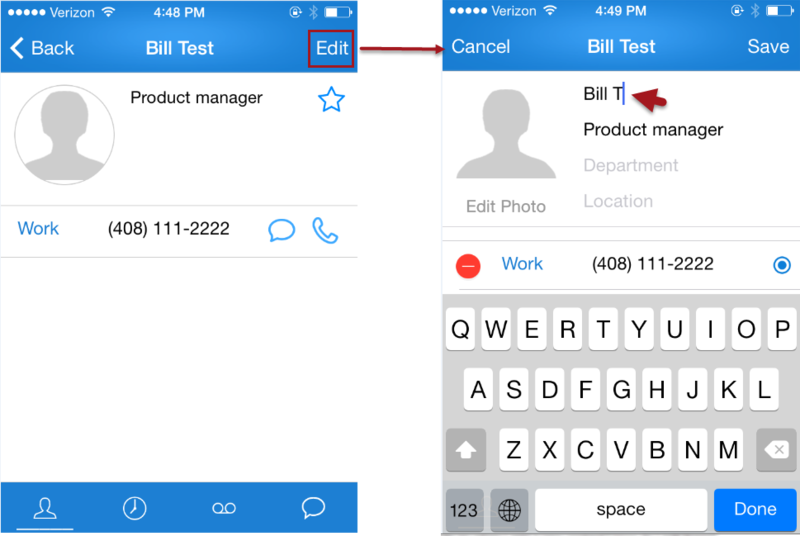 To edit a personal contact, open the contact and tap Edit in the top-right corner of the screen. The editing screen opens, allowing you to make changes. What types of 8x8 accounts are supported for SMS? How do I delete an SMS or IM from my personal History? 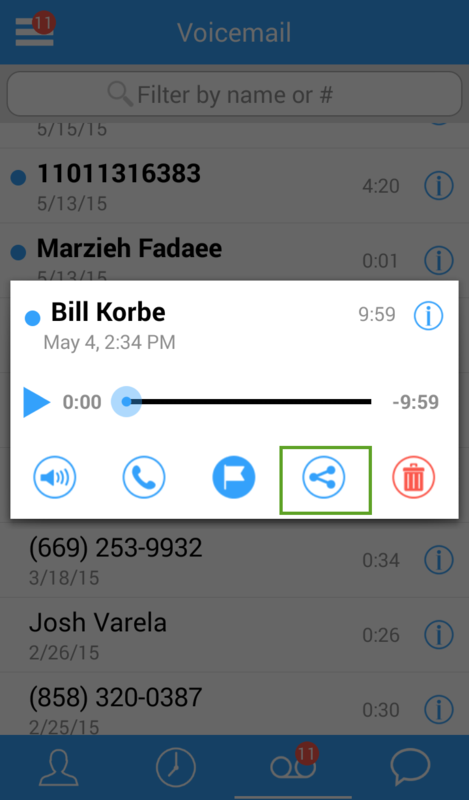 How do I share voicemails and faxes from the app with my other contacts? From the navigation menu, tap Voicemails. Select the desired voicemail and tap it for details. Tap the share icon and select the tool to share by. Can I have video calls with any of my contacts? Any Virtual Office client: the L'application de bureau Virtual Office, Virtual Office : application en ligne, or L'application mobile Virtual Office. Any of the following phone sets: Polycom VVX 500, VVX600, and VVX1500. How do I enable video privacy? To block video feed from your end during a video call, go to Settings > Video Settings and enable Privacy Mode. The caller on the other end is notified of the privacy mode and sees a black screen. How do I change the audio channel or data network I use to join audio in a Conférence Virtual Office? How do I switch between video and home screen modes during a Conférence Virtual Office? While in a Conférence Virtual Office, tap in the meeting interface to share your video. You are now visible to other participants. Other video participants appear in a row at the bottom of the screen. Flick left or right along the row of videos to see all of them. Tap a small video to bring it up as a large video in the center of the screen. To switch between views, tap in the meeting interface to open a drop-down menu. Home: Switch to the main meeting information screen. Video: Switch to the video screen. Content: If another participant is sharing desktop content, you can switch to the shared content view. To stop sharing video, tap . You are no longer visible to other participants. Note: You cannot turn another participant's video on for them, or start a meeting with participant video switched on. How do I rate the quality of a call, or choose to enable or disable call quality prompts? By default, after the end of a call lasting more than 10 seconds, you will see a prompt to rate the quality of the call. In one tap, you can rate the quality of the call on a scale of one to five stars, or choose to dismiss future prompts. For details on disabling or enabling call quality prompts via Settings, refer to Rate Call Quality. How do I share my comments and suggestions with 8x8 product and support teams from within the app? From the main menu, tap Help > Send Feedback. In the following screen, add your notes describing the issue. The log file is automatically attached. Note: You can also submit feedback by shaking your device. How do I report a bug in the app? If you find a bug in the app, you can instantly report it to us by shaking your device. The prompt is automatically dismissed after 5 seconds if you do not tap Send Feedback or Dismiss. Make sure this feature is enabled by going to Settings > Shake to Send Feedback. Shake your device while in the app. At the prompt, tap Send Feedback. The Feedback screen pops up. You can include optional feedback or an issue description. Tap Submit when you are finished. Your feedback, debug log, and a screenshot are sent to 8x8. Note: You can also send a debug log via Help.